Carmo Food International outsources products worldwide with our suppliers mainly from EU, America and Asia. I am in charge of developing the Vietnamese market with the focus on Sales and Marketing. With this job, I gain a deep knowledge in the Food industry: the supply chain, special regulation for import-export food products in EU and Asia, logistic works...I have developed very good relationships with our Vietnamese customers and Carmo Food is considered as their most valuable and reliable supplier due to our customer's evaluation. Vietnam House was a social economic company. It was established with the goals to sell organic products in Denmark and a part of the profit will be used as scholarship for the Vietnamese's farmers' children so that they could have better education and better start in their lives. I would like to promote bilateral trade between Denmark and Vietnam with the focusing on supporting small and medium enterprises in both countries. This job helps me to gain deeper knowledge about specific industries in Denmark and Vietnam as well as helps me to extend my business network. This festival primarily was a fundraising event for Sharing International. I have developed the idea and implemented it from the start until the festival finished. Starting from only me and my idea without any financial resource, I slowly created a network of partners, sponsors, more than 100 volunteers, suppliers who helped us to make a good festival with a good financial and marketing results. With my knowledge in sales and marketing and my very good communication and negotiation skills, as a project director, I have organized successfully Asian Culture Festival in Aalborg since 2013 until now. The Asian Culture Festival in Aalborg had about 3,000 visitors in 2013, more than 14,000 visitors in 2014 and about 19,000 visitors in 2015. In 2016 we organized the festival successfully in the four biggest cities in Denmark with the participation of more than 50.000 visitors, more than 200 international volunteers with a lot of positive feedback. Through this festival, I have both improved and developed my sales and marketing skills to promote for the festival, my communication and negotiation skills to develop Asian networks to participate the festival, my leadership skills to work with the festival management board and the international volunteers as well as to support the most vulnerable people. It was a fantastic experience and pleasure to work together with many Asian networks, volunteers and visitors. Sharing International is a non-profit organization, which has set its focus on helping and supporting single mothers in Asia to get a stable job in order to give them and their children a better life and a brighter future. We also support street and disadvantaged children and youth to have a vocational training that would help them to get a job and a better future. We organize Asian Culture Festival and charity events as financing resources for our charity works. I helped CKU to organize the exhibition and performances for Vietnamese artists. It was a wonderful experience to work and meet talented artists from Denmark and many developing countries. I have gained experience how to import artwork to Denmark, issues to concern related to tax, transportation, marketing for big event. It was a wonderful experience. I helped Aalborg CSP to make a market research about central heating systems by solar energy in France. It was really good experience to learn about concentrated solar power, new green technology, solar energy market, French market and culture and also fantastic new colleagues. I have helped artist Werner to publish his first book in Vietnamese. The printed book and e-book are ready for sales. I have also called for sponsors for book donation. The results are 500 printed books will be handed to poor children in Vietnam and 2000 free e-book accounts will be installed in 1000 primary schools in Vietnam, 500 free e-book accounts will be given to Sharing International members, thanks to the generous contribution from Orana Vietnam, NGO Fontana, Danish Embassy in Hanoi, Vietnam and the Vietnamese community in Aalborg, Denmark. I have designed the website architecture and the layout of this website. A Vietnamese IT company helped me to do programming. I have gained a lot of knowledge in website design, online-marketing, SEO, networking during the time I built this project. 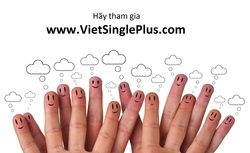 Now VietSinglePlus is having more than 100 members and volunteers and the numbers of members are gradually increasing. I give advice to international students in International Business Study so that they could work on their semester projects successfully. It is a wonderful experience when I could share my knowledge and experience with students and help them with their semester projects. I helped Logimatic to update their CRM system and market research related to the Vietnamese market. During this time, I had learned a lot about ERP and CRM system. o	2001-2006: Won and implemented successfully contracts to supply various commercial vehicles such as ambulances, environment vehicles, fire fighting vehicles, recovery vehicles, luxury coaches for various customers: Sasco, Nasco, SAA, Tan Son Nhat Airport, Vung Tau Airport, hospitals, city health centers, Health Ministry, Hanoi Police Office, Project Management Units of World Bank Projects, Urenco Hanoi, Vietsovpetro, Phu My Power Company, Phu My Steel Company a.o. o	2004-2005: Won and implemented successfully contract to supply 200 units of MB Connector Buses to Saigon Bus Company. o	2005: Won and implemented successfully contract to supply 60 units of MB Sprinter Minibuses to Saigon Transportation Join Stock Company. 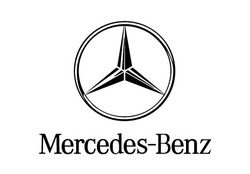 o	2004: Won and implemented successfully contract to supply 78 units of MB S-class cars for Vietnam government in ASEM 5.
o	2003-2004: Won and implemented successfully contract to supply 61 MB City Bus to Hanoi Transerco. I had learned and gained a lot knowledge about automobile techniques, special vehicle designs, ERP and CRM system, sales skills...It was a pleasure to work here with so many good colleagues from Germany, Singapore, Malaysia, Thailand, South Africa and Vietnam. Exported paintings made from precious stones to the U.S.
Project promoter to bring a Vietnamese TV channel to broadcast in the U.S. I gained a lot of knowledge about precious stones and how to identify gems. I had also developed a good network among Vietnamese broadcasting authorities. It was a good experience to work with Vietnamese living abroad and I had a lesson about trust and how to choose a good partner. It was a wonderful experience to work for DYR. My colleagues and customers were Singaporean, Malay, Chinese, Vietnamese, American, British. Here I had chances to participate in different brand campaigns with brain storms to generate creative ideas, TV-commercials production, radio production, print ads design, promotional items designs, event management, press conference, market researches with focus groups...I gained a lot of good knowledge and fantastic experience in marketing during the time I worked here. I had also learned how to respect different cultures and how to work smoothly in a multicultural team. This was the first company I worked for after graduation. My colleagues and customers were Singaporean, Malay, Chinese, Japanese, Vietnamese, Indian, American, Dutch. I was working in a very international and professional working environment where I learned a lot about how to work and behave professionally in the international business. I gained a lot knowledge and experience in event arrangement and management. During this time, my English speaking and writing was improved strongly. Chef and master of a noodle street vendor in Hanoi: after working hard in the street from 4am to 10am for a month, good and bad weather, I had learned a big lesson. I had changed myself a lot since then. I love my mom more and appreciate her effort to raise us more. I am less egoist, spend money with more consideration, be more caring, sharing, sympathy and humble. And I had learned how to smile and be positive even in the most difficult situations.